The 2017 Card Player Poker Tour Venetian $5,000 buy-in no-limit main event drew a massive field of 688 players, building a $3,199,200 prize pool that blew away the $2,000,000 guarantee. The tournament’s two starting flights drew 539 entries, with an additional 149 entries made on day 2. This marks an impressive growth of nearly 28 percent in field size over the 2016 running of this event, which drew 537 entries. As a result of the huge turnout, the champion of this event will walk away with a first-place prize of $655,847. The top six-finishers will all cash for six-figures. By the end of day 2 the field was narrowed to just 95 players, with the top 72 players set to make the money on day 3. The chip leader at the end of the night was Troy Quenneville with 451,200. The 2016 WPT Caribbean Poker Party main event winner has some pretty big names hot on his heels, including former November Niner John Dolan (442,100), 2011 Little One for One Drop winner Paul Hoefer (440,000), 2016 WSOP $5,000 no-limit bracelet winner Ankush Mandavia (438,000) and three-time World Poker Tour main event winner Chino Rheem (401,300). And that’s just the top five stacks. Other accomplished pros in the top 25 include Matt Giannetti, Sergio Aido, Dylan Wilkerson, Dylan Linde, Barry Hutter, David Sands, James Obst, Brett Richey, Ravi Raghavan, Ryan Laplante and Byron Kaverman. 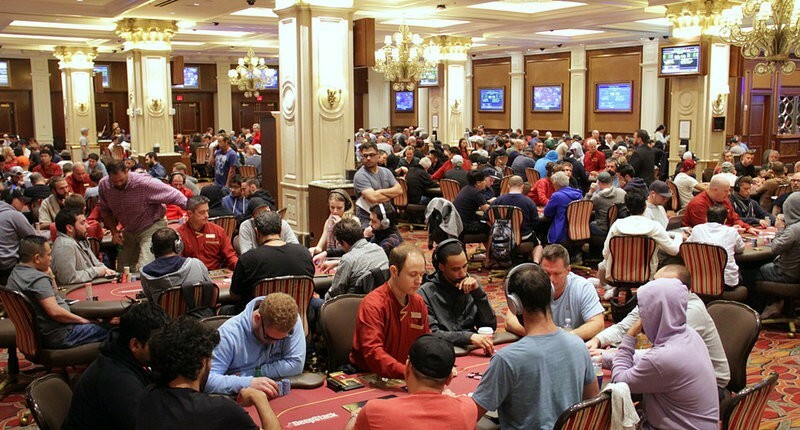 While the remaining field is stacked, plenty of notables did hit the rail on day 2, including 2016 CPPT Venetian champion Jon Turner, poker triple crown winner Mohsin Charania, Michael Mizrachi, Jake Schindler, Scott Clements, Liv Boeree, Card Player Publisher and two-time WSOPbracelet winner Barry Shulman, 2001 WSOP main event winner Carlos Mortensen and 2015 Card Player Player of the Year Anthony Zinno. The final 95 will return at noon on Thursday to (attempt) play down to a final table, which will play out on Friday.